E-courses are gaining popularity in the creative industry, and for good reason: they’re a scalable source of passive income. They may require more work at the outset, but they have the potential to bring in more money than service-based income sources in the long run. If you missed my post on passive income a couple weeks ago, be sure to check it out here! If you’ve been seeking to create another stream of income for your business or you’re hoping to take your business full-time, today’s post is for you. I’m taking you behind the scenes of how I successfully launched my first e-course to bring in passive income. My hope is that these 6 simple steps allow you to work smarter, not harder, and take your business to the next level. Before I dig in, it’s important to note that launching an e-course will be much more successful if you’ve first focused on building a large, engaged audience. It’s that backward mindset I discussed in this post: instead of creating a product or service and then trying to find an audience for it, build your audience and then tailor your offerings to their interests. If you have a successful blog or business, you have marketable skills that others would be interested in learning about. But the difficulty comes with recognizing what they are and how to market them to potential customers in an e-course format. Consider these questions to help you brainstorm and get your gears turning. Which topics gain the most engagement on your blog and social media accounts? The topics your audience already engages with might be a great place to start as you consider content for your e-course. If they’re interested in a certain subject matter already, they would probably be interested in getting an even more in-depth look at it. What are your business’s most frequently asked questions? Coming up with the content for my Elle & Company e-courses was a breeze because my audience requested the topics. I saw a need among bloggers and business owners to learn design software so that they could create a more cohesive visual identity for themselves, especially for those who are starting from scratch. So I launched the Adobe Illustrator e-course this past April. I’ve also had numerous requests from readers for a less-expensive branding package as well as advice on how to create a brand on a budget, which prompted my upcoming Design Your Brand e-course. Listen to your audience by looking at their most frequently asked questions and consider how you might be able to use that content for an e-course. What differentiates you from others in your industry? The key to a successful e-course launch is not only a large, engaged audience, but an offering that’s different from everything else that’s out there, whether it’s in your content or the approach to your content. Focus on what already makes you different from others in your industry and consider how you could highlight those differences in an e-course. Do you have formal training in certain areas of your business? Experience leads to trust. Do you have any formal training or years of experience in a certain field, software program, or trade? Use it to your advantage and teach others about the very same thing. After you decide which content you’ll be offering, it’s important to think through the best methods for teaching your curriculum. When I planned the format of the Illustrator e-course, I knew I wanted the class to include 5 lessons with a PDF guide that would help participants follow along. I went back and forth on whether I would offer live sessions via webinars or pre-record the lessons and share the videos with the participants. Live courses allow you to have greater interaction with your audience through question and answer sessions, and some webinar programs allow participants to chime in with comments during the live event. Live-streaming the content also feels more personal and mimics the feel of a classroom, even though the audience is viewing the class on their computer screen. However, pre-recorded sessions don’t require ongoing work; you film it once, and you can use it again and again for future courses. You can automate the entire process by sending the videos through email or you can set up a page on your website that allows participants to watch the recordings at their convenience. I ended up choosing live sessions at the outset, and after researching webinar programs I settled on GoToWebinar. The platform allowed me to both broadcast and record the live teaching sessions, so class participants who couldn’t attend all 5 events could watch them and review them at a later date. I also set up a Facebook group for my e-course attendees for them to ask questions and share their work with others in the class. The Q&A sessions at the end of each lesson, the PDF guide, and the Facebook group created engagement with my audience, which was very important to me, especially in an online course where it’s more difficult to interact with students. I would encourage you to spend time thoughtfully considering how your participants will best learn the curriculum. Set learning outcomes for each lesson, provide extras like guides and forums, and think through whether it would be best to provide live or recorded sessions. Before officially launching your course, plant some seeds by showing your audience their need for what you’re offering. Once I planned the Illustrator e-course, I began to tailor my blog articles to include Adobe Illustrator in order to create interest among my audience before I made the e-course announcement. I published posts like 40 Ways to Use Adobe Illustrator for Your Blog and Business in order to show my audience how the program can benefit them and get them interested in learning more about it. When the course launched, it solved a problem that I presented to them in my earlier posts, creating more interest. Think creatively about how you can demonstrate your audience’s need for your course, whether it’s through your blog content, social media accounts, or your newsletter. 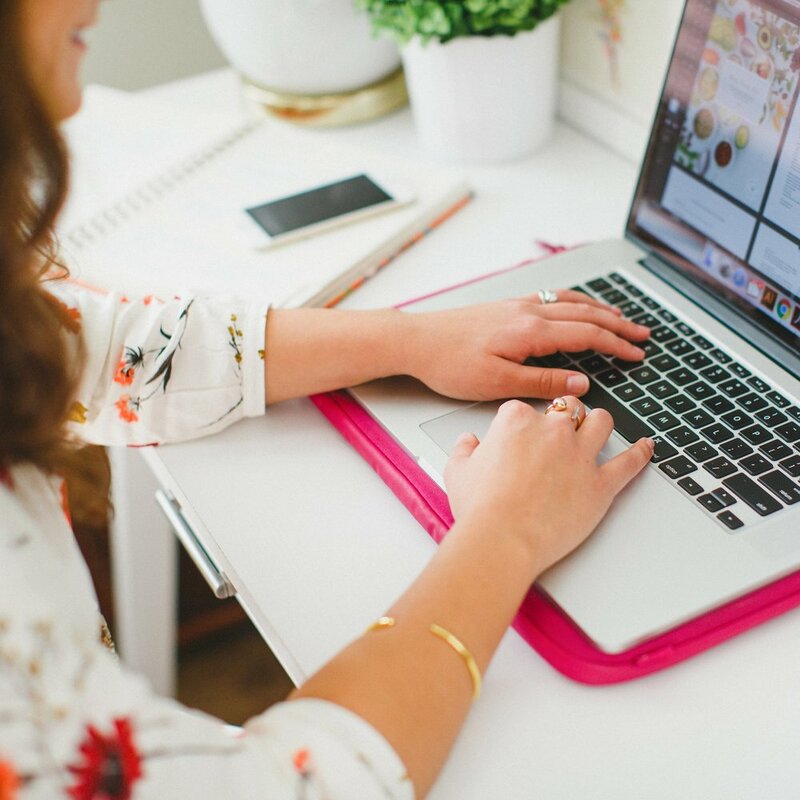 I love keeping people in suspense over new Elle & Company offerings and announcements; it’s good for creating hype and generating interest about my blog and business. I’ll often drop hints about upcoming events or services within blog posts, just to keep readers guessing and generate excitement for when the announcement will finally be made. I encourage you to do the same. Instead of randomly announcing your course one day, set a date and build anticipation until the big announcement. Drop hints on social media, in your blog posts, and within your mailing list. When you do announce your course, create even more of a build up by making your audience wait to register. Set a registration date for a week or two after the original announcement and use that time period in between to start a countdown, giveaway more details, and post about your e-course up and down on your social media outlets. For 11 ways to generate hype around your launch, check out this post. It’s important to create momentum with the launch of your e-course, especially if you want to continue to offer more rounds of the same offering. Sellouts demonstrate interest among your audience, and the more you sell out, the more novel your offering becomes. In order to sell out of your first e-course, consider offering a set number of spots and limit the registration time. For example, I decided to offer 40 spots to my first Illustrator e-course and only opened registration for a day. Because there were only a select number of spots, people were waiting at 12pm when registration went live and the course sold out in the first 15 minutes! When other interested Elle & Company followers saw how quickly seats went the first go round, they were anxious to grab a seat for round 2. It’s a simple rule of supply and demand, but the number of seats and the amount of time you give people to register can be just as important as the content of your course if you want to sell out and generate interest the first go round. Things might not go perfectly with your first course, but you learn. Take an objective look at what worked and what may not have been successful, and make refinements, adjustments, and edits as necessary. While offering live courses worked well for my 40 participants in rounds 1 and 2 of the Adobe Illustrator e-course, I’ve decided to switch things up for round 3 so that I can take in a greater number of participants (more information on that below). I also came up with some practice assignments, made adjustments to the PDF guide, and came up with a better solution for my Q&A sessions. It gets better and better with each round! By following these 6 steps and doing the prep work ahead of time, you'll have a sell-out e-course in no time. Speaking of e-courses, be sure to check back here tomorrow for new details and dates for our upcoming Adobe Illustrator and Design Your Brand e-courses! 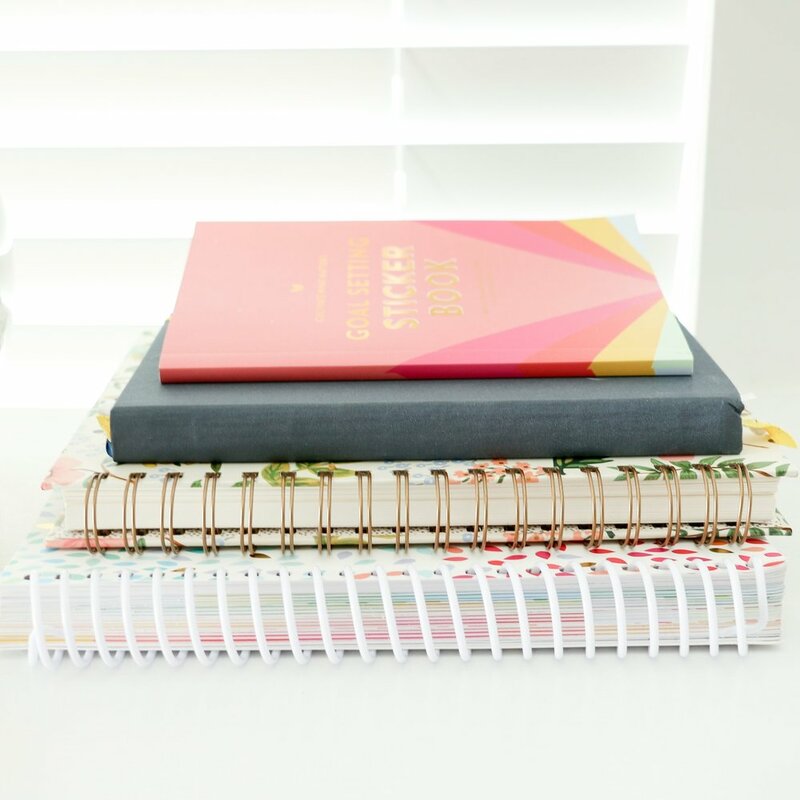 Newer PostNew Elle & Company E-Course Dates and Details!